can make their dreams a reality"
Haruka Mera started Readyfor, Japan’s first crowdfunding service while studying at the Keio Graduate School of Media Design (KMD) and is now president of READYFOR Inc., where she continues to develop her business. —First, please tell us briefly about crowdfunding. Crowdfunding is a way of raising capital from a large group of people through the Internet. When starting or expanding a business, many times people without collateral or a track record will run into trouble when trying to receive a loan from a traditional financial institution. It can be especially hard if you’re unincorporated. Fundraising can be that much more difficult when the dream you’re trying to realize isn’t driven by profit. At Readyfor, we focus on the idea of creating a world where anyone can make their dreams a reality, from the smallest dream to the loftiest goals. Our internet platform helps creators share their projects and reach the people who can provide support and funding. Once a project reaches its goal, supporters are guaranteed a return on their investment, often in the form of a resulting product. When Readyfor first started, there were just six projects, each with a goal of 200,000 yen. Since then, we have helped fund about 5,500 projects at a current rate of about 200 new projects every month. We’ve also had experience with large-scale projects with goals of 60 million yen. Readyfor has an exceptionally high rate of success at 65%, considerably higher than the average of most crowdfunding sites, which sits around 30%. —What kind of projects have you had so far? There have been all kinds of projects, both large and small. 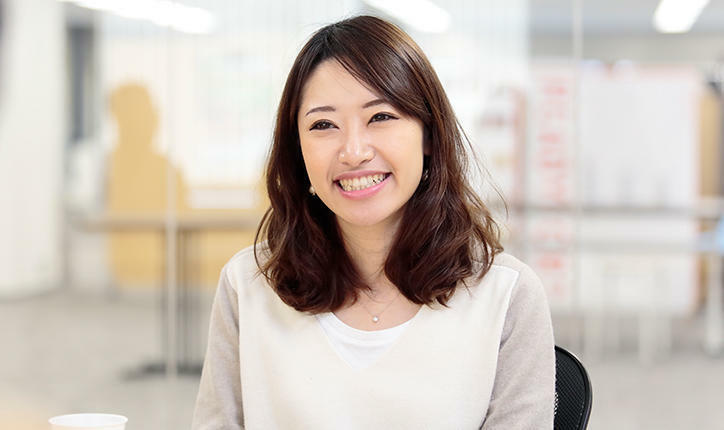 For example, TV reporter and cancer survivor Miho Suzuki, who is also a Keio alumna, used Readyfor to help establish Maggie’s Tokyo, the first Japan location of the UK-based group of cancer support centers. The project raised 22 million yen, much more than the goal of 7 million. They now have a beautiful facility on Toyosu’s waterfront. I’m very pleased that we were able to help this project succeed with the support of all of the backers. —There are all kinds of projects listed on the Readyfor website. How does someone go about starting a project? When someone wants to launch a project, they’re paired with a curator. 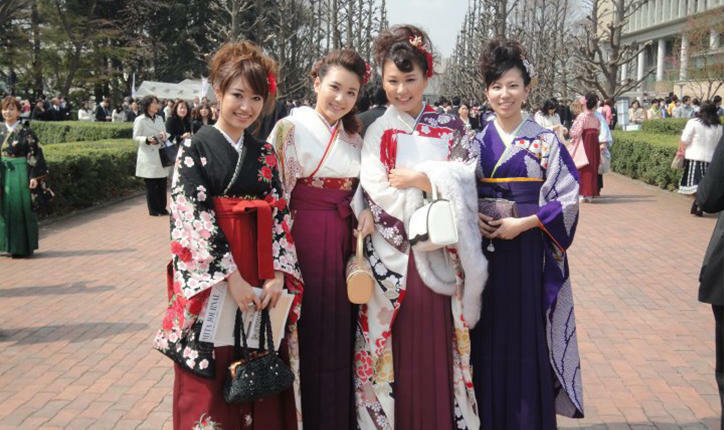 Japanese people often aren’t used to emphasizing their opinions, so it can be hard for them to talk about their dreams. But an inability to articulate your ideas can lead to self doubt. Sometimes I wonder if Japan has a culture so realistic and practical that it puts a stop to people’s dreams. I think that is one of the factors that makes it difficult to develop a culture of entrepreneurship in Japan. But just as people worried and opposed my new business, I also had people who supported me and encouraged me not to give up. Now, our curators do just that—work closely with creators who are new to crowdfunding and help them convey their thoughts clearly to make their dreams come true. —It seems like some people might be interested in curation work. A curator’s job is to create a sincere dialogue with the creator, listen carefully to their ideas, and offer advice on articulating the main points of their project and how best to present them. They also help with promotion. I like to say that a curator is like an editor. A prominent book editor once told me that the most important thing they do is to make sure they're by the writer's side when the going gets tough. The same thing could be said for curators, too. It is important for them to feel close to the creator. Since many projects are related to regional revitalization, it may be an engaging job for people who are interested in that line of work. Also, I think people with development assistance experience outside of Japan and people who are interested in social business could also make good curators. —You launched Readyfor while at Keio’s Graduate School of Media Design (KMD). How did that come about? As an undergrad, I had seminars with microeconomics professor Yasunori Fujita's research group. You might laugh about why I chose Prof. Fujita’s seminar, but it was because of my junior high school tutor. At the time, my tutor was in Prof. Fujita’s inaugural seminar class as a student at Keio’s Faculty of Economics. So as a junior high student, I was able to hear about how great Prof. Fujita’s seminar was. Even though I didn’t really understand anything about economics, I knew that one day I wanted to go to Keio and that I wanted to take Prof. Fujita’s seminar [laughs]. After passing the entrance exam and joining his seminar, I got to work on various joint projects with other laboratories and companies. One of them was a collaboration with the Yutaka Matsuo Lab at the University of Tokyo’s Graduate School of Engineering. There, they had just begun the development of the person search engine SPYSEE, and the members of our seminar were divided into several teams to work on business development. The proposal our team presented was accepted, and the engineers of the Matsuo Lab brought it to life. SPYSEE was to be operated by Ohma Inc. through Prof. Matsuo. That experience showed me how fun and interesting it can be to devise a plan and make a proposal. Armed with the knowledge that the Internet is constantly making the realization of ideas faster and easier, the experience was also the trigger I needed to make my foray into the world of the web and launch crowdfunding in Japan. Something else influenced my decision— a hunch that the coming era would be one where the individual stands out. SPYSEE helped me realize this as a system that scours information on the web based on individual name searches rather than corporate ones. As cloud computing caught on, people could make websites more easily and at lower costs. I felt like the playing field had been leveled for anyone who wanted to take on the world and that it signaled the beginning of the era of the individual. These factors only served to inflate my own personal dream to commercialize my crowdfunding service. When I was in my junior year, before becoming involved with SPYSEE, my Fujita Seminar afforded me the opportunity to meet with Hideki Arai, the coach of the Japanese Paralympic ski team. After finding out that the team was suffering from a lack of funding, I wanted to show my support and was able to raise a million yen in ski wax funding over the Internet. —You studied abroad at Stanford University during graduate school. Why? I knew I wanted to build my business on the Internet, so I decided to gain a firm foundation in programming during a six-month stint at Stanford. But I didn’t just gain a knowledge of programming. I was able to learn more about the current state of the crowdfunding business in the US, where the trend originally began. —You were also an attendee at the World Economic Forum (WEF) in Davos. Davos is a huge meeting of some of the world’s top names in business, so naturally the average age is fairly high. The leadership and management of the meeting realized the need for participation from younger people, and as a result, 70 individuals from across the globe were chosen to join as Global Shapers: dynamic, entrepreneurial and socially-engaged young leaders aged between 20 and 30. Of the five Japanese chosen, I was the youngest. At one of the outdoor sessions in Davos, I overheard a conversation between Eric Schmidt, chairman of Google’s parent company Alphabet, and Sean Parker, the first president of Facebook. They both agreed that age of crowdfunding was here. This was at a time when I was plagued by doubts concerning the direction I should take after graduate school. Their discussion gleefully removed those doubts from my mind. It was like their meeting had been just for me! I became much more positive knowing that they thought the direction of my ambition was not misplaced. Additionally, during the sessions concerning Asia, I had discussions with people from China, the Philippines, and other parts of East and Southeast Asia. This was around a time when relations between Japan and China were less than favorable.Yet we had great discussions together. Despite the issues between our countries, we became fast friends, and I’m sure that this is indicative of our coming world, which will become flatter and more fluid with time. We shared an future-oriented awareness that questions how long the concept of countries and nations will last. I’m still in contact with those friends today and consider their connection a great asset. —Please share some memories you have of student life at Keio. Thinking back, I was so active that I barely had time to sleep! Of course seminar-related activities consumed most of my time, but I remember helping set up for a speech by political journalist Soichiro Tahara as a member of the Mita Festival Planning Committee. The Mita Festival Planning Committee, with its rigid hierarchy, taught me a lot about the organizational pecking order, which I had never experienced until then. I think I may have used Keio as a platform of sorts. I enjoyed meeting all sorts of diverse people and seeing what good could come out of our acquaintance. There’s something in the air at Keio that encourages students to take action, something that pushes you forward. For example, the WEF at Davos coincided with my master’s thesis submission deadline. It was rough, but my teachers and friends gave me the support I needed to get through it. I think one great aspect of Keio is the respect that students and their opinions are given. —Could you say a few final words to current students? Changes in society today are quick—not just technology but also in the ways we work. There is no guarantee that our situation today will be the same in 10 or 20 years. That’s exactly why individual adaptability and survival skills are so important today. I hope that all Keio students are ready to fully leverage the value of Keio and the amazing network of diverse peers and alumni that it provides. While it’s important to learn in class, the classroom can’t teach you the work skills needed to contribute to society and to live on your own terms. Constantly stay aware of what it is that you want to do and what skills and abilities are necessary to achieve your goals. Grab the seeds of opportunity that abound on campus and be proactive in planting them. Mera graduated from Keio University’s Faculty of Economics in 2010. She went on to complete her master’s degree at the Keio University Graduate School of Media Design (KMD), where she studied abroad at Stanford University to learn programming. Mera launched Readyfor, Japan’s first crowdfunding service, in March 2011 after returning to Japan. 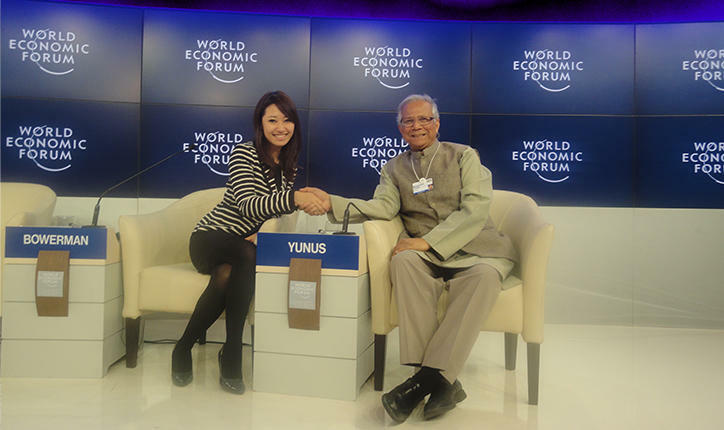 The following year, she was chosen as a member of the World Economic Forum’s Global Shapers Community as the youngest Japanese to participate in Davos. She founded READYFOR Inc. in 2014.